Have you ever brought in an expert to train your people and had the training session fail? Experts have a great deal of knowledge but often times you need an instructional designer or trainer to get the knowledge to your employees. Experts and novices approach a topic differently. The expert has a great deal of understanding and for them, the procedures and processes they do are simple, almost second-nature. For the novice, they are starting at the beginning and need each step broken down. The difficulty is that the expert sees connection in the procedure and doesn’t need to break down steps completely and so when they try to teach the novice, they make assumptions about the information and combine steps in a way that the novice can’t connect with. The end result is that both the expert and the novice are frustrated. This is where the instructional designer/trainer comes in. This person becomes the translator between the two. The instructional designer/trainer leverages the learners ability, connects information to their prior knowledge and motivates the novice to learn and develop competence with knowledge being taught. Each learner has innate ability and the instructional designer/trainer understands learners and is able to quickly develop an understanding of the learner’s ability. They use this to break down steps into simple chunks that will help the learner acquire new information. When learning, people connect new information to existing information. The instructional designer/trainer understands how to make connections between information the learner already knows and new knowledge. 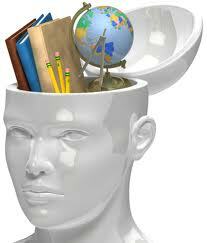 They are practiced at finding commonality between new information and topics that are more familiar to the learner. They also know how to get the learner thinking about relevant information that will prepare them to understand new information. Learner desire to learn new information and the value they place on learning it have an impact on their ability to acquire new knowledge. The more motivated the learner, the more likely they are to overcome learning obstacles and retain information. The instructional designer/trainer understands how to develop motivation for the learner and keep them motivated throughout training. They know to make sure the learner understands the benefits of acquiring the new information. Additionally they understand that building the learner’s confidence with the material will keep them motivated throughout the learning process. By scaffolding successful accomplishments for the learner, they keep the learner motivated. While subject matter experts provide valuable knowledge to your organization, an instructional designer/trainer is able to gather the information from the expert and craft it into an effective learning experience that delivers the information to the learner in chunks that are clear and motivate the learner to be a successful learner.